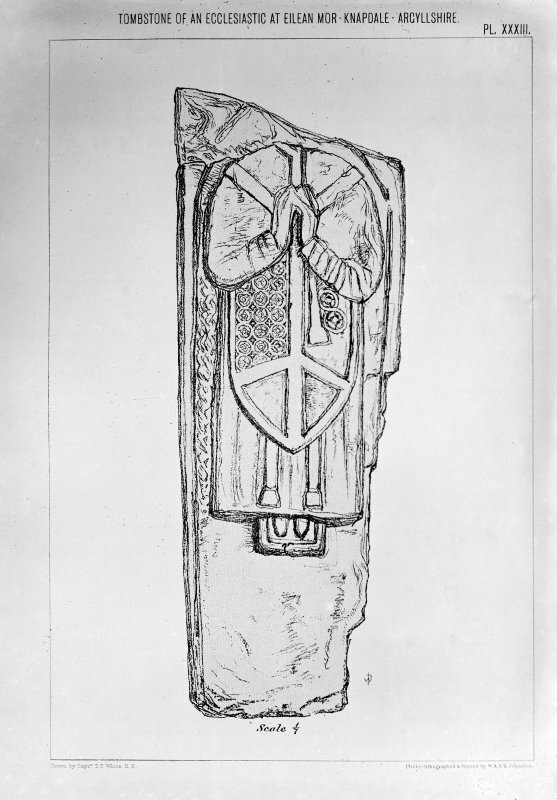 Eilean Mor, effigy. General view of restored head of recumbant effigy. 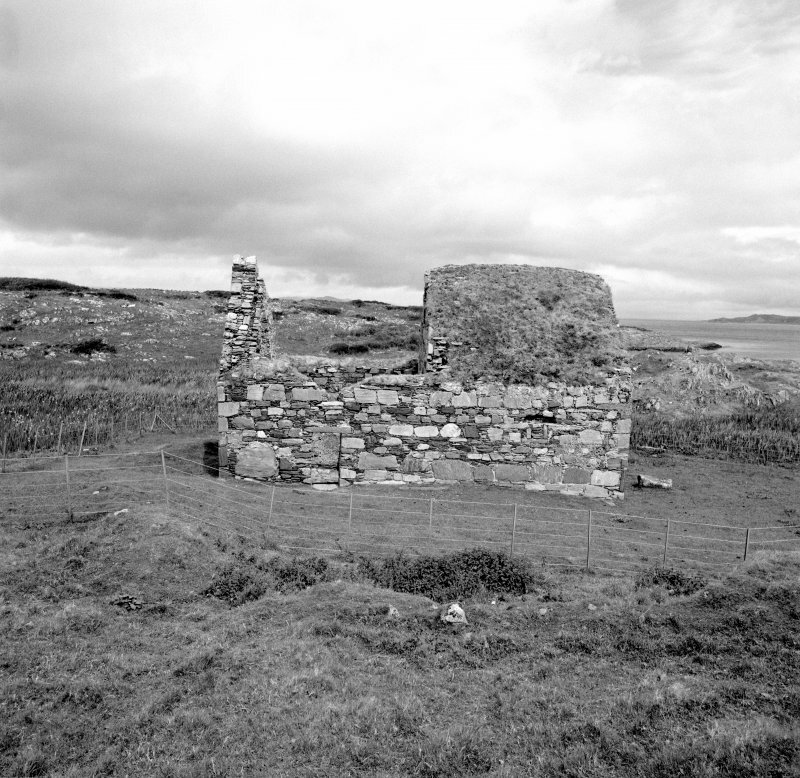 Eilean Mor, St Cormac's Chapel. View of chapel from the south-west. 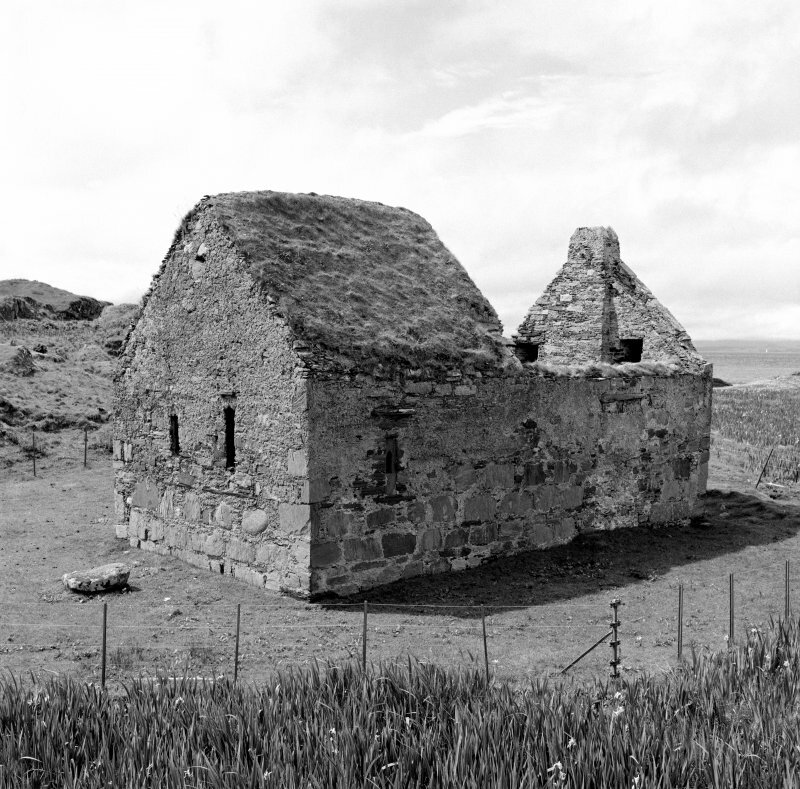 Eilean Mor, St Cormac's Chapel. View of chapel from the south-east. 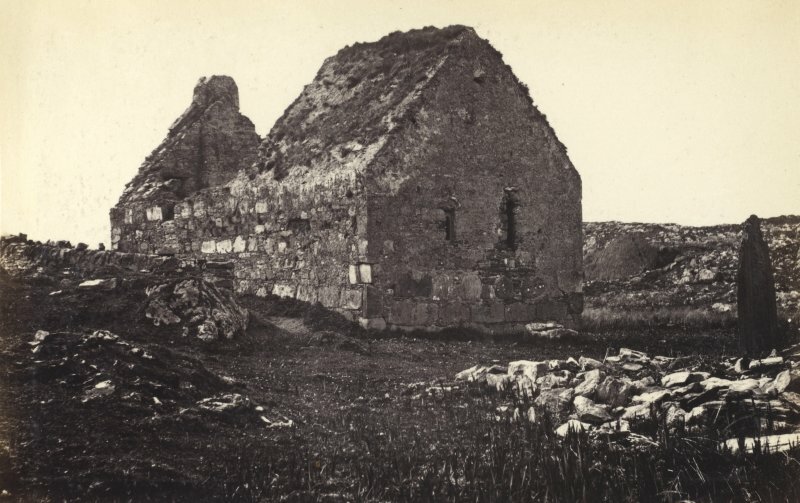 Eilean Mor, St. Cormac's Chapel. General view. Eilean Mor, broken cross. General view of broken cross. 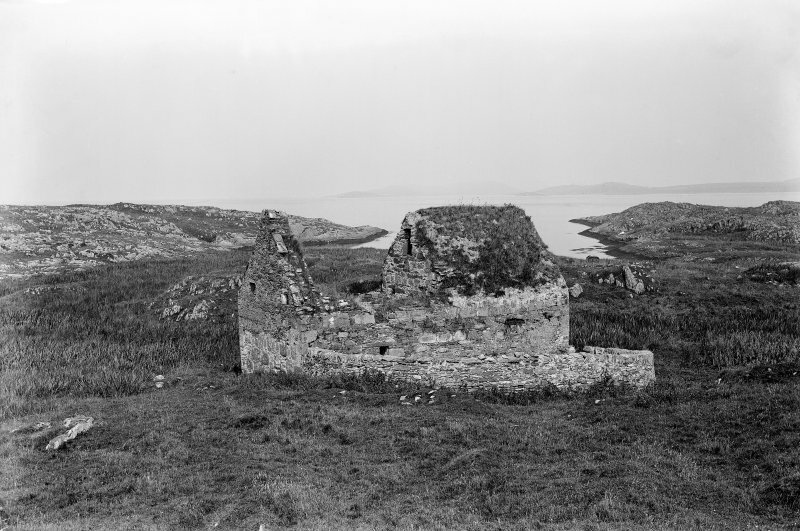 Eilean Mor, St. Cormac's Chapel. General view from North-East. Eilean Mor, tombstone. 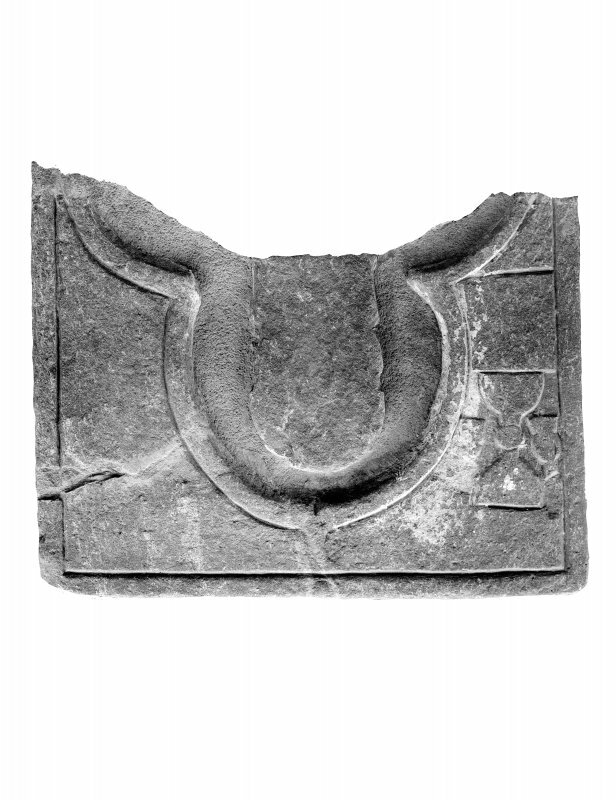 General view of tombstone of an ecclesiastic. 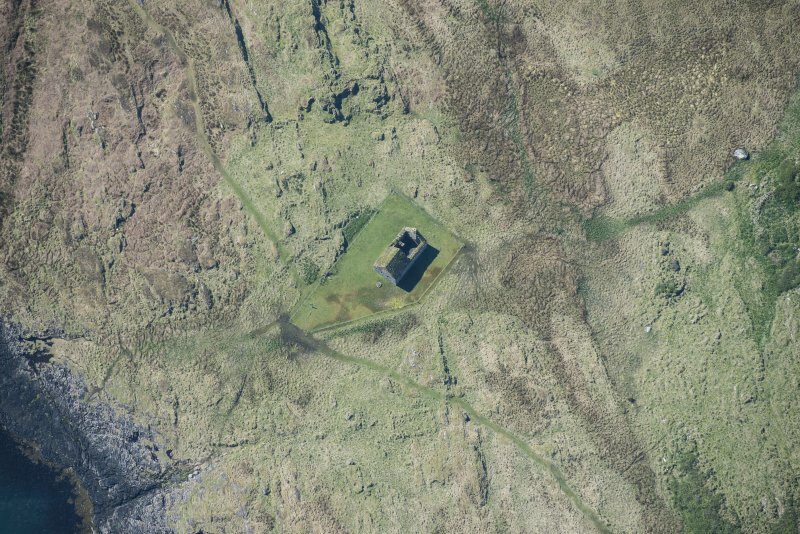 Eilean Mor, St. Cormac's Chapel. General view from South. This chapel, a rectangular building, 38' x 20' externally, was used as an inn after 1600, hence the fireplaces in the W gable. It is partly medieval work, enclosing an earlier building 13' x 10'6" internally, with a barrel-vaulted roof, now forming the chancel. Traditionally connected with Keills (NR68SE 2) and perhaps its 'Disert' in early times. Dedication of both to St Abban moccu Chormaig (c. 640) (M Campbell and M Sandeman 1964). 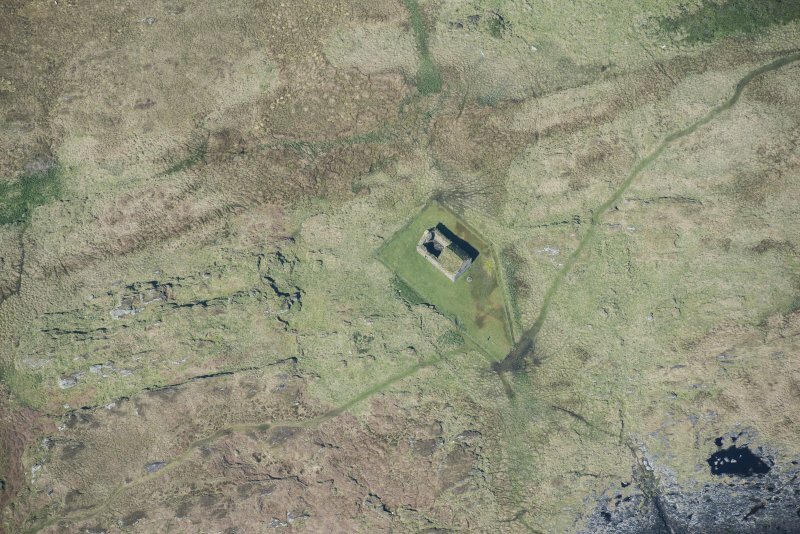 The chapel was surrounded by an open and nearly obliterated burial ground (D MacGibbon and T Ross 1896). There is a medieval tomb on the S side of the chancel. 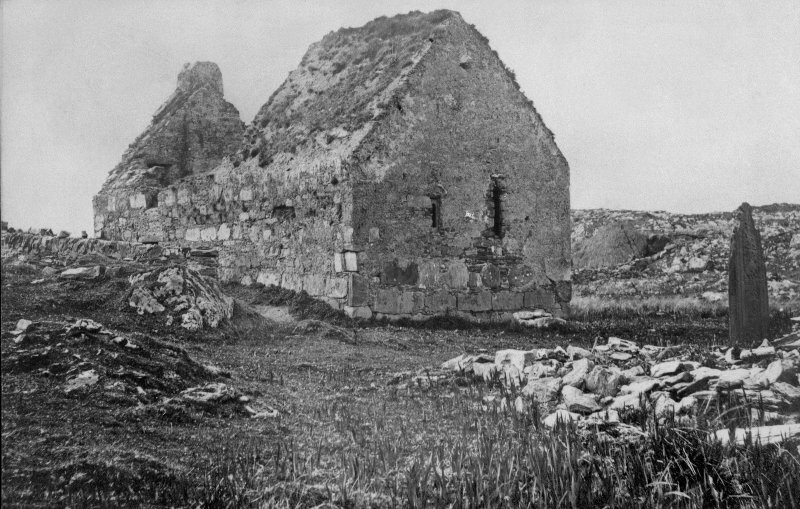 St Cormac's Chapel (DoE nameplate) is as described but the burial ground can no longer be recognised. Information from Historic Scotland, Certificate of Exclusion from Schedule dated 14 March 2000. 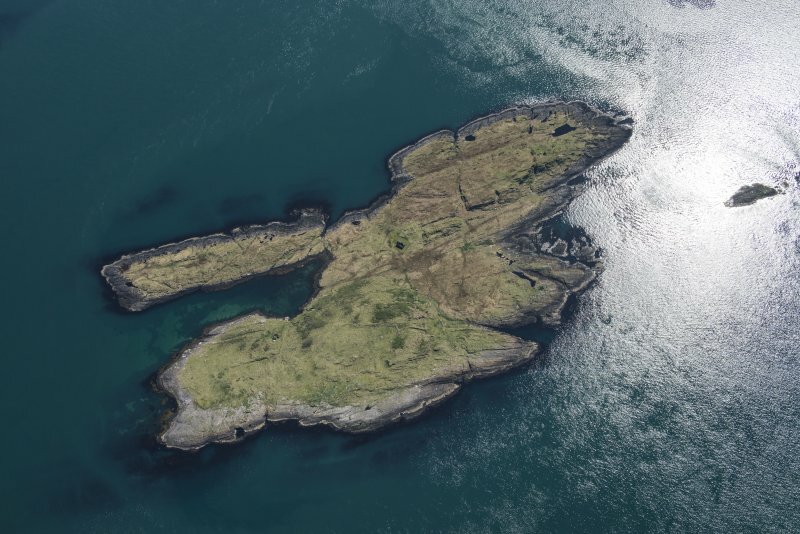 Eilean Mor is the largest and most westerly of the group of islands lying in the Sound of Jura at the mouth of Loch ween, and known locally as 'the MacCormac Isles'. It lies about 6km SSW of Keills (No. 45) and 5.8km SW of Castle Sween (No. 119), and was undoubtedly the oilen l-suibhne ('island of Loch Sween') of the 17th-century Book of Clanranald (en.1). 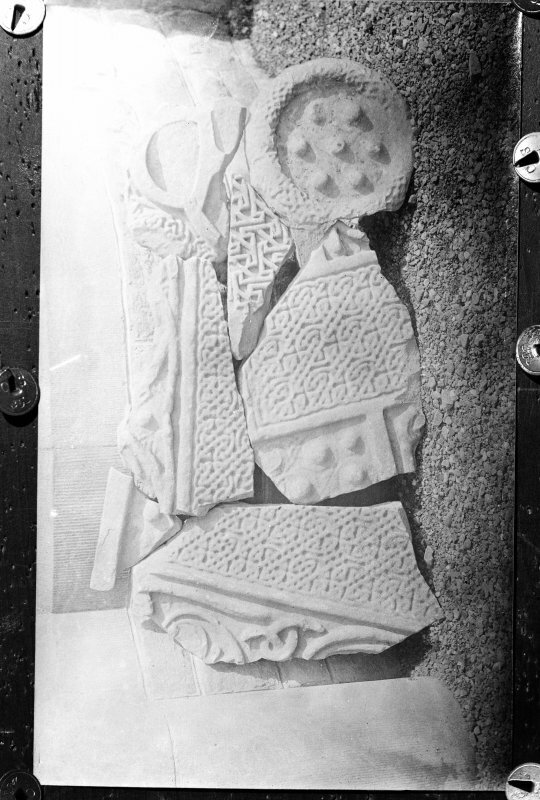 This records the repair by John, Lord of the Isles, in the middle of the 14th century, of the existing chapel of early 13th-century date. 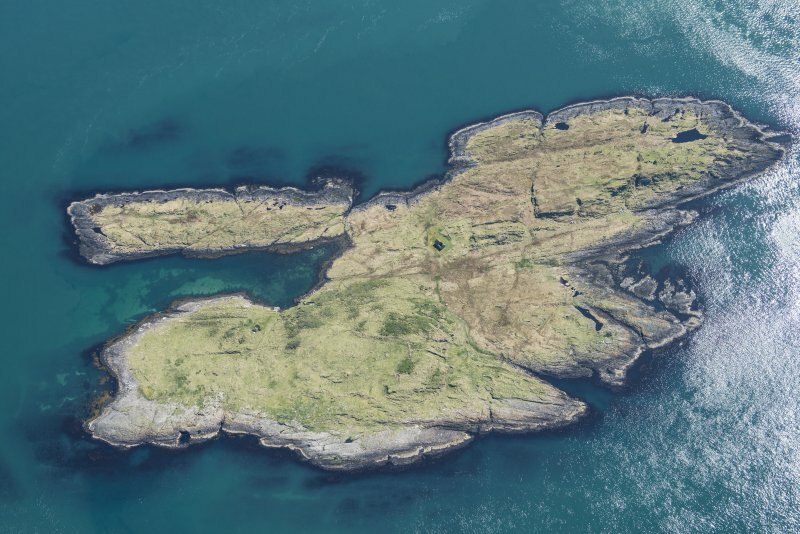 Although the surrounding waters are affected by strong tidal currents, an excellent anchorage is provided by a large sheltered inlet 150Ih NNE of the chapel. 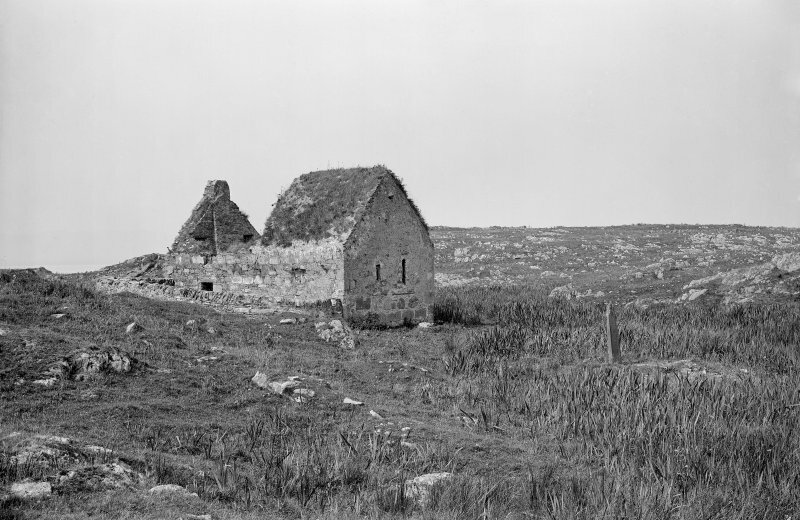 This building, with its associated cross of Early Christian date, stands at the S edge of a marshy area dividing the northern third of the island, situated on limestone, from the rockier S part which is composed of vertically bedded schists. 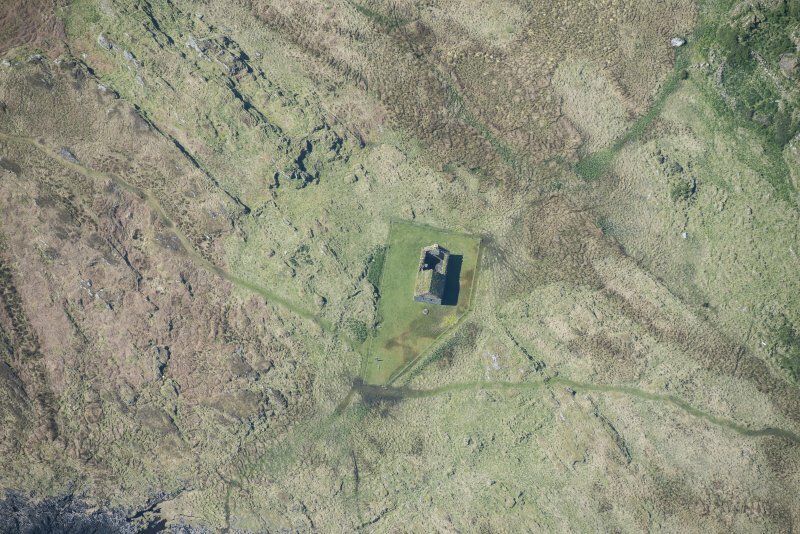 The island was noted in the late 18th century for its excellent pasture (en.2), but evidence for cultivation is confined to the NW part, where there are numerous enclosures and clearance-cairns. Several buildings and a corn-drying kiln are situated close to the chapel, which was itself adapted for domestic use in the post-Reformation period. 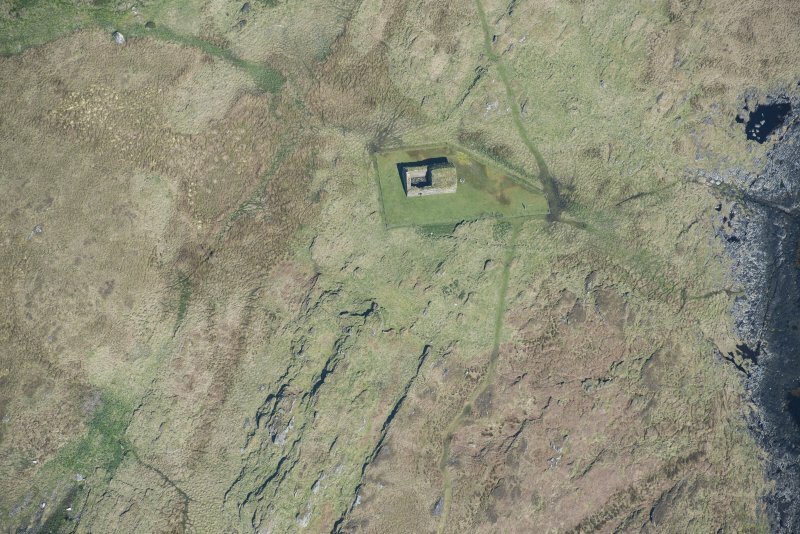 Some 250m SSW of the chapel (NR 665750) there are the remains of a drystone building, possibly another chapel, at the entrance to a small cave whose walls bear two incised crosses of early type. 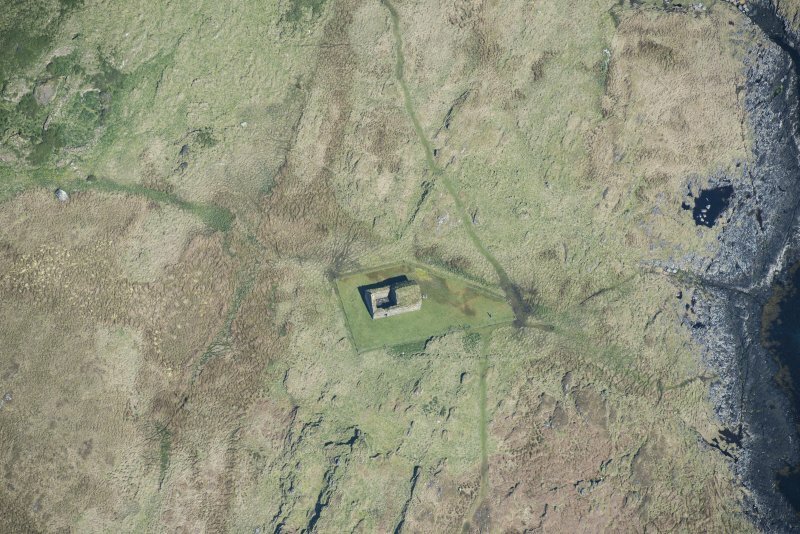 This site was probably used in the Early Christian period as a hermit's retreat, and the revival of this tradition is indicated by the inscription on a late medieval cross (infra, number 6), which formerly stood at the highest point of the island (NR 666751).